Philly Teacher: How Do We Best Teach Technology? How Do We Best Teach Technology? Recently I've been contemplating what I teach, why I teach it and how I teach it. As a technology teacher I know my job is to teach, well, technology. But these days there's no such thing as teaching technology in isolation. Correction. There should be no such thing as teaching technology in isolation. As such, I try to find ways to incorporate the core academic standards into my lessons while also teaching students how to use technology to achieve learning goals, process information and collaborate. I've been struggling with whether maybe I should be focusing more on teaching technology more specifically. After all, my students lack knowledge and skills in basic technology tools like word processing and finding, saving and manipulating files. They learn most of these skills through the projects we do, but is that really my job? Should I be doing less long-term integrated projects and more short term projects that teach specific tech skills? Another thought: why is it important that my students learn these skills? I always tell them that when they are looking for a job they will need the skills that I am teaching them. But how many of my students will actually enter such kinds of jobs? 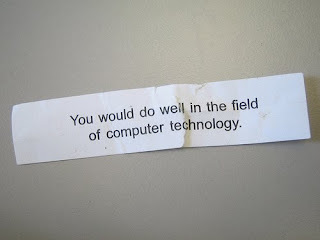 Or, by the time my students are employable (for some that is 3-4 years from now) will even the most menial jobs require a basic knowledge of computers and using technology for productivity, problem solving and collaboration? How should we be teaching technology skills to our students? Should the plan be different for students with limited access or limited skills? "Highly Qualified Teachers": Who's Paying for It? What Does Communication Mean in 2010? A New Model for School Reform: Could it Work?